It’s been rumored for several years, but now it’s official: Keanu Reeves and Alex Winter are making a third Bill & Ted movie. The two actors announced in a YouTube video Wednesday that Bill & Ted Face the Music will be shot this summer, with a release date set for August of 2020. That means the new film will arrive 31 years after the the original film, 1989’s Bill & Ted’s Excellent Adventure, and 29 years after its follow-up, Bill & Ted’s Bogus Journey. The first Bill & Ted film was about a duo of high school students and aspiring rock stars faced with flunking out of school and the end of their rock ‘n’ roll dreams. 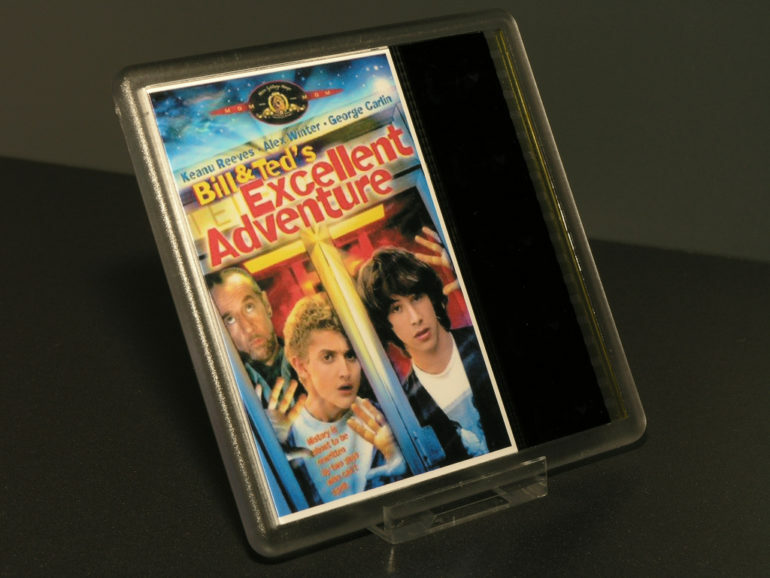 Bill and Ted are given a chance by guide Rufus (George Carlin) to travel through time, meet historical figures like Napoleon, Socrates, and therefore get an A on their history project. There was plenty of the sort of fish-out-of-water humor – Freud at the mall, Napoleon at a waterpark called Waterloo – that was popular in the comedy cinema of the late 1980s. The first sequel is best known for an extended sequence that parodied Ingmar Bergman’s The Seventh Seal, which likely went over super-well with the 14-year-olds in the franchise’s core audience. The biggest question about the return of Bill & Ted is how exactly the story of a pair of circa-1989 rock ‘n’ roll dudes can translate into the present day, in a time when garage rock isn’t what it once was. There’s also the matter of Reeves and Winter both being 53 years old, and that the man who played their time-traveling guide, Carlin, is long dead. But there are signs that they can make it work. Reeves’ star power has been incredibly durable for going on three decades; Bill & Ted will become the third franchise of his to reach three films, following The Matrix and John Wick. Winter, while not doing much acting of late, has emerged as a respected documentary filmmaker, directing films about such technology topics as Napster and Bitcoin, as well as the Panama Papers. The project is also in good hands with director Dean Parisot, of Galaxy Quest, attached. We’ll find out if a third Bill & Ted was worth the long wait, when the film arrives in late summer of 2020.